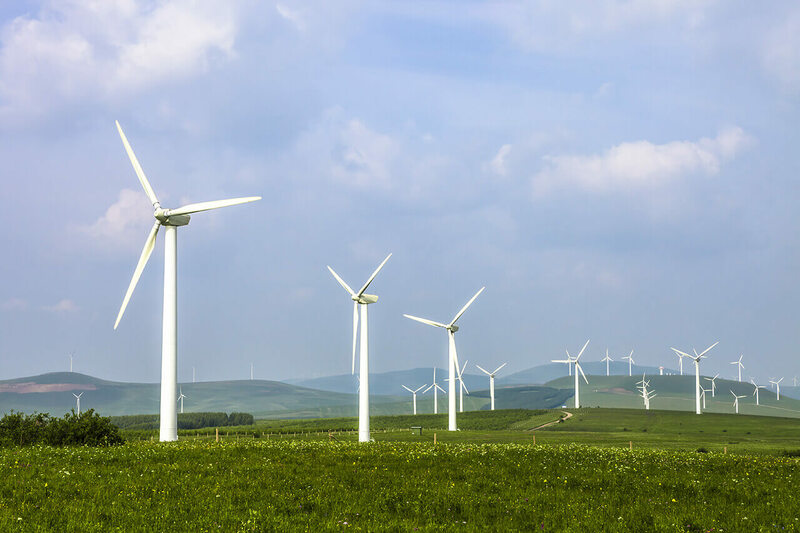 Corex honeycomb manufactures aluminium honeycomb for Wind Turbines, which supply clean and sustainable energy, a renewable technology Corex Honeycomb passionately believes in. The composite technology employed in our aluminium honeycomb delivers a core material that combines high strength with low weight, highly desirable in the development of wind turbines, rotor blades and turbine core. A wind turbine is a device that converts the wind’s kinetic energy into electrical energy. Wind turbines are manufactured in a wide range of vertical and horizontal axis types. Corex Honeycomb and TWI LTD have worked together on an EU funded project to develop an ‘Embedded Early Failure Crack Detention Sensor’. 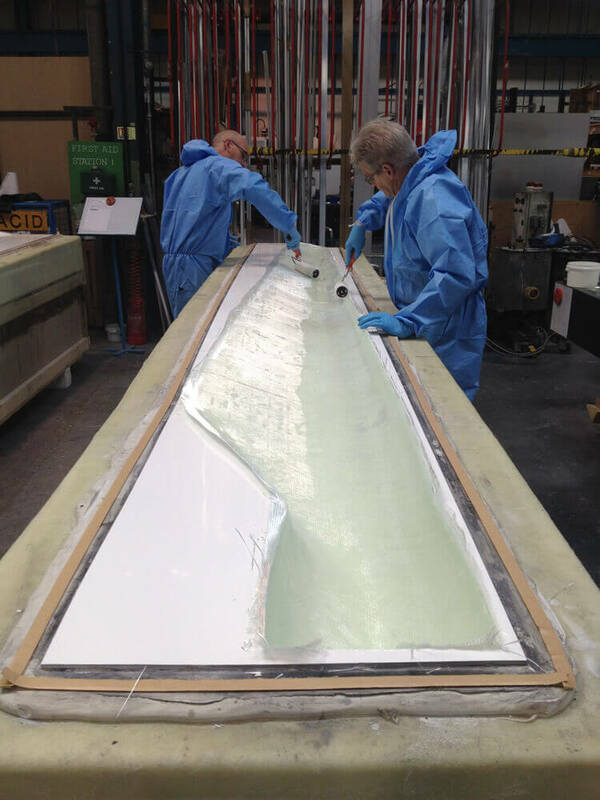 Corex Honeycomb manufactured the rotor blade and TWI provided the sensor with the two sections being bonded together on site. We obtained an established wind turbine blade and with current technical literature created the design used for the project. This was a 9.7m long rotor blade. 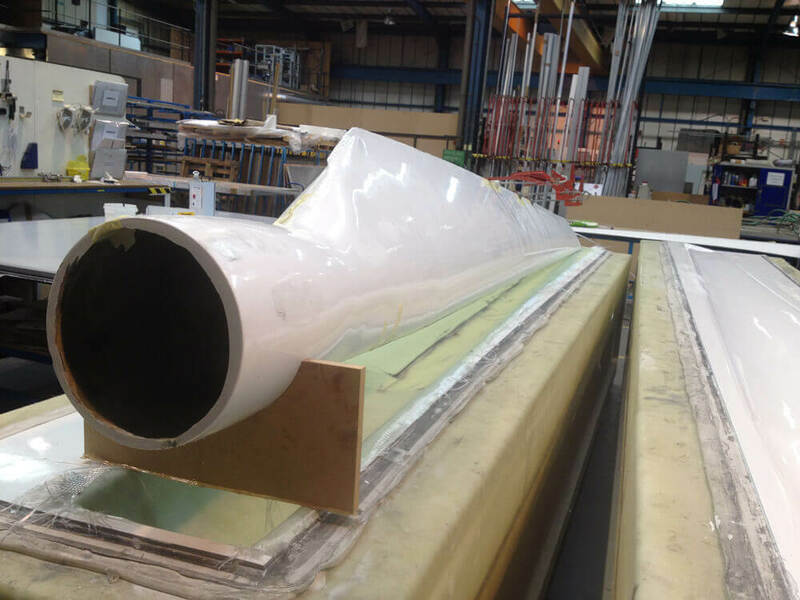 The complex surfaces of this rotor blade were scanned and the CAD model was produced. 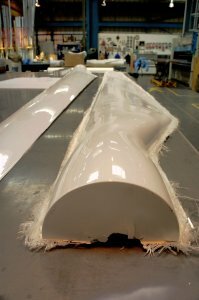 For practical reasons the model of rotor blade was scaled down; this CAD model was then used to manufacture the rotor blade mould tool. The mould tool is made up of a ply base, expanded polystyrene (EPS), laminate and tooling paste. The mould tool surface had a machine finish with few pit holes. These pit holes were then filled and sanded down to get a smooth surface finish. Then two pack lacquer gloss paint was applied to the mould tool surface to get the glossy surface finish. This tool was used to make the blade, using the had/ wet layup method. Our aluminium honeycomb was used inside the turbine’s shell due its high rigidity-to-weight ratio and its density being unaffected by changing environmental conditions. To make the epoxy resin more viscous silica sand was added, this eased the application of resin to the honeycomb core. The consumables were stacked up on top of the last laminate according to the following order: peel ply, perforated film, breather fabric, vacuum bag. of the hose was connected to a single phase vacuum pump. Laminate was vacuumed to post cure before the part was de-moulded. A defect was purposely introduced to one of the blades as part of the project, to test the Crack Detection Sensor. These test were carried out by TWI ltd in Cambridge.